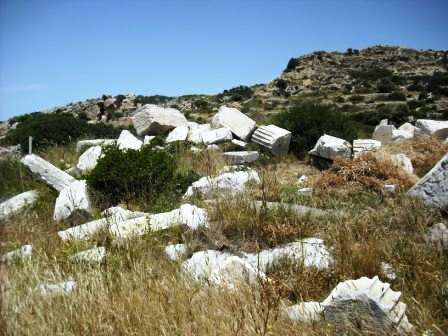 The ruins of Knidos, Turkey or Cnidos, an ancient city of Hellenic, Roman and Byzantine cultures, are located just on the very tip of the Datca Peninsula in Turkey. 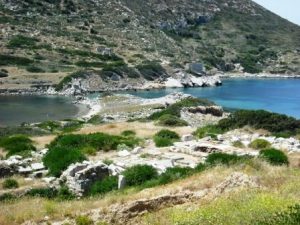 With the ancient harbor still intact, you can cruise right into one side of the ancient harbor, anchor and wander these extensive ruins, literally “in the wild”. 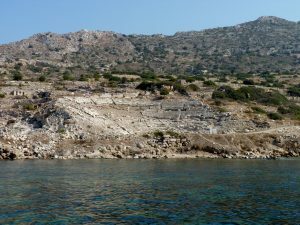 We just visited Knidos, and anchored in the ancient harbor overnight while cruising on the Gulet Mare Nostrum from Marmaris to Bodrum. And for a magical evening, dined on deck with the marble of the ancient ruins and amphitheatre gleaming in the moonlight around us. In the morning, we went ashore and wandered through these extensive ruins just sitting in situ as they have for centuries. Knidos first reached fame as a Hellenistic city, however stayed vibrant through Roman and then Byzantine rule, until the city was finally abandoned in the 7th century AD. Located right on the tip of the Datca peninsula with a natural harbor, Knidos was perfectly situated as a stop on the ancient trading route. As a hub of trade, the city soon accumulated wealth, which was reflected in the many civil, and religious buildings and shrines built. 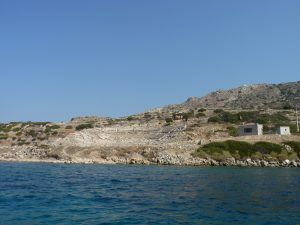 Knidos was built at the end of the Datca Peninsula and on the island of Triopion, connected to the peninsula once by a bridge and now by a narrow isthmus of land with a natural harbor on either side. The southern harbor was further enclosed by two strongly built walls that are still in existence today. On both the mainland and island are extensive ruins, and the remains of the city walls. Through excavations, the Agora, Amphitheatre, Temple to Dionysus, and perhaps what ancient Knidos was best known, the Temple to Aphrodite. Inside this temple was a statue of Aphrodite carved by Praxiteles, a famous Hellenistic artist and sculptor. This statue of Aphrodite, which today can only be seen in copies, was said to be of a woman so beautiful that sailors far and wide came to Knidos to worship at the feet of the statue. Archaeologists at the site of Knidos are still hopeful to uncover the original statue buried in the ruins. 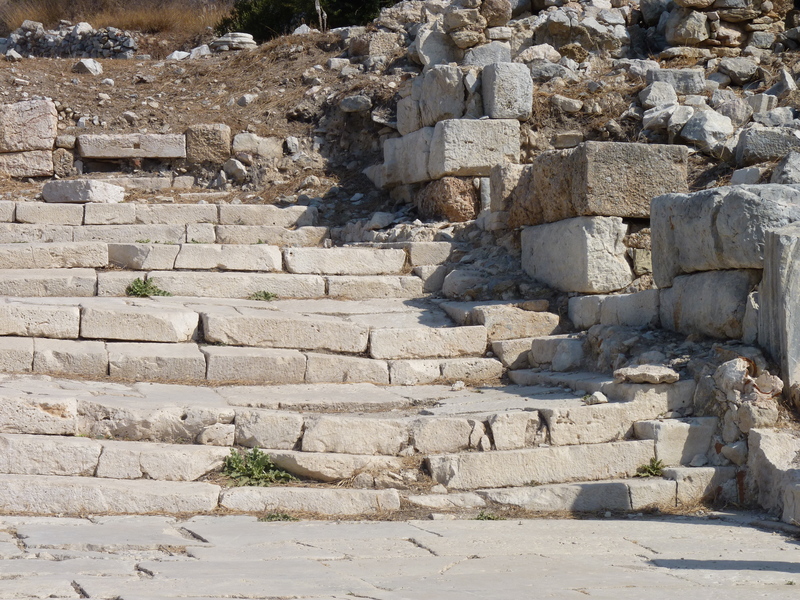 The street layout has been excavated proving Knidos to have been a planned city laid out on the Hippodamos Grid system with a series of parallel streets, intersected by one uphill street starting at the peninsula end of the bridge to the island. Besides being a wealthy trading city, Knidos was also known for the quality of the locally produced wine, which was exported far and wide in the many ships that stopped in this busy port city. Knidos wine amphora’s can now be seen in the Underwater Marine Archaeology Museum housed in the crusader castle in Bodrum, which were excavated from ancient ship wrecks in the area. Knidos was home to several famous Eudoxos, a famous Mathematician, and Astronomer and Sostratos, the Architect that designed the famous ancient lighthouse in Alexandria, now collapsed and being excavated from the bottom of the surrounding sea, which was once one of the seven ancient wonders of the world.Stopping in at Knidos is a “must do” on any charter itinerary, and is a natural stop as the ancient harbor still offers safe overnight anchorage for all mariners.